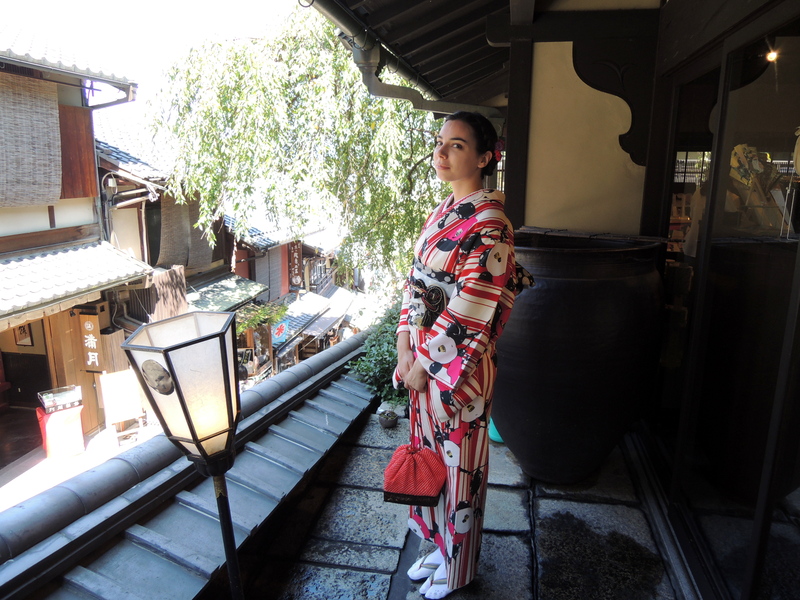 Back in Japan, I always wanted to try wearing a kimono but being non-japanese (or non-asian) I thought that I would look weird or it would look unappropriate even if I was dying to try. I had to wait my 3rd trip to feel confident enough to do it and I couldn’t be happier. 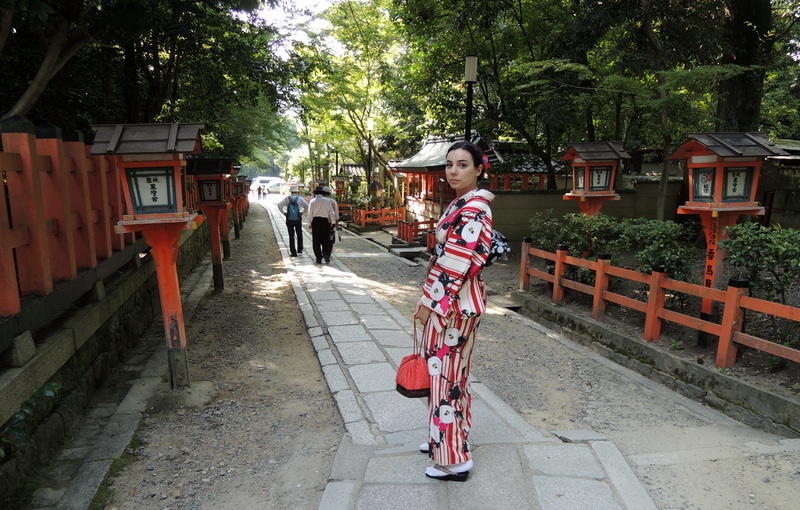 Naturally Kyoto was the right place to wear a kimono while wandering in the streets, eat dango… Why ? 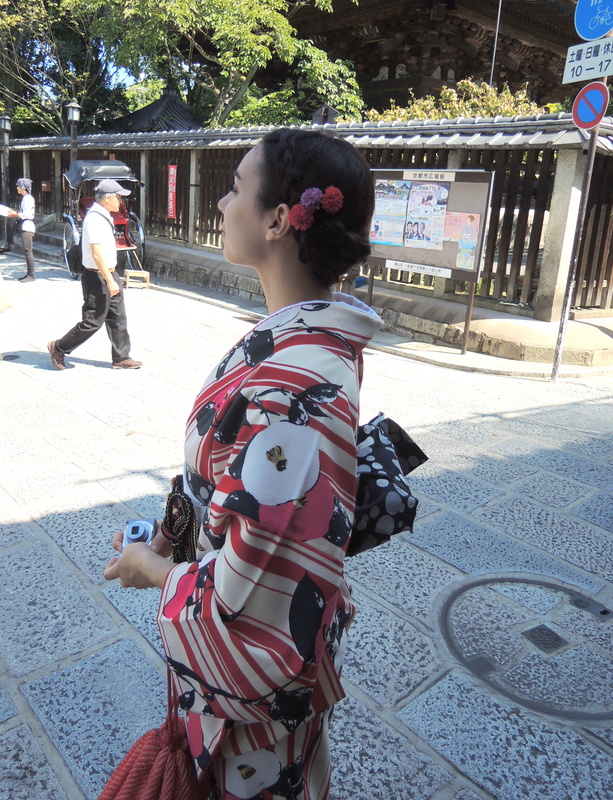 Because of the old/mystic atmosphere of the city, other people wearing traditional clothes, the good weather (maybe too hot for a “kimono day”) and simply because I love this city. I was there for Silver Week aka National Holidays so I was afraid all the kimono would be already rented, but we were LUCKY ! 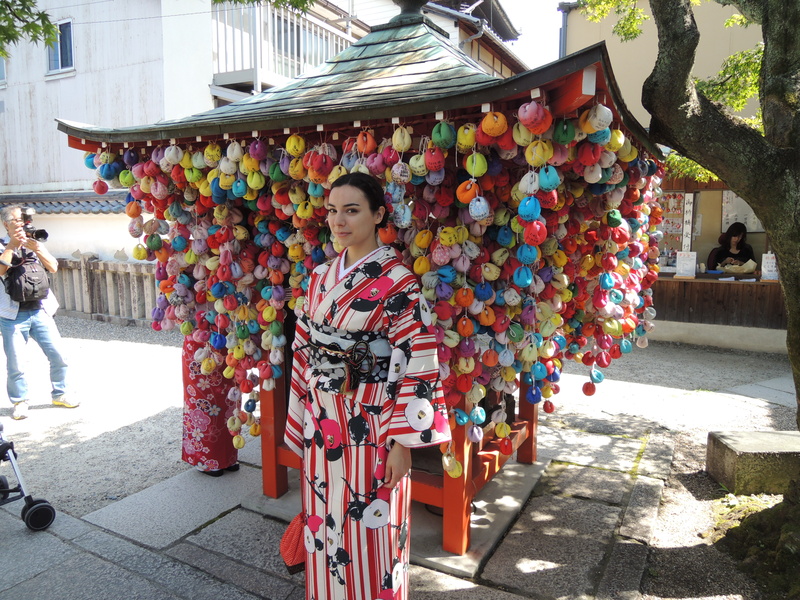 we find a little shop with nice design kimonos and with the help of a nice french girl working there during the silver week ( we are everywhere in Japan it’s crazy ! ). 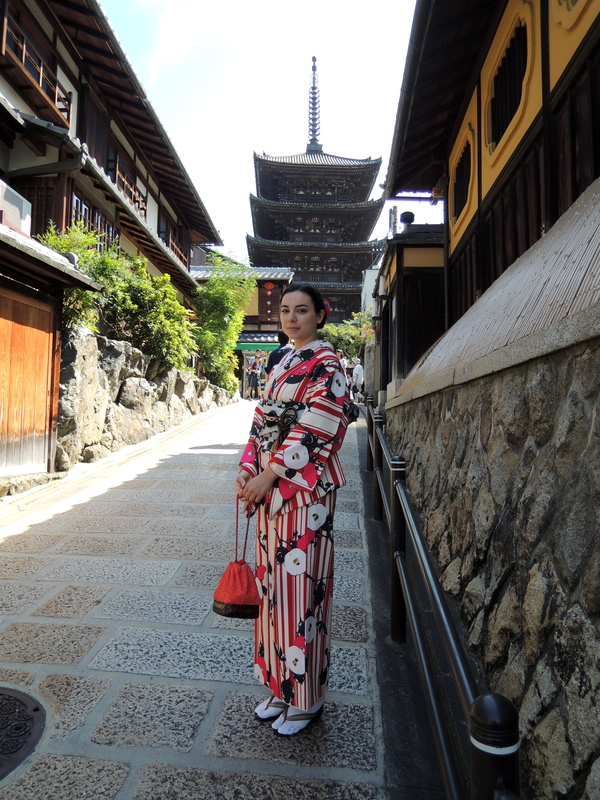 I didn’t want something kawaii but a more simple looking kimono, I’m pretty happy with my choice and after a good 30 minutes putting the kimono, with the help of a nice japanese lady, and getting my hair done, it was time to explore Kyoto on my geta ! It was a very good experience and everyone should try it too 🙂 If you do and have big feet like me, the geta can seem small but it’s easy to walk on them ! Thank you for reading and see you next time !